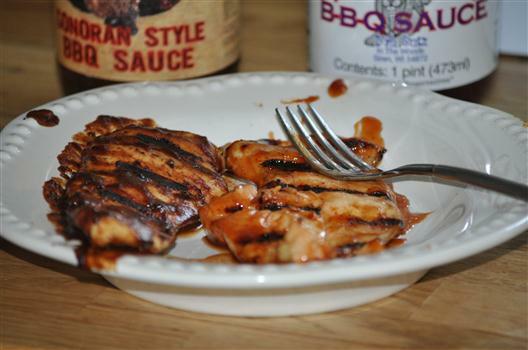 I am pleased to review Arizona-based Farm2Market Foods’ Sonoran Style BBQ Sauce. First off, what is Sonoran style? Sonoran-style indicates it is related to a region in Mexico that borders Arizona to the South. Sonoran-style generally indicates “Mexican food” but one can find a lot of references to uniqueness of the region in terms of their cuisine and mole sauces. The only complaint I had with the sauce, is that I don’t think the label does the sauce justice – I think it could use a little more personality. Once the bottle was open, all of my reservations started to fade away. 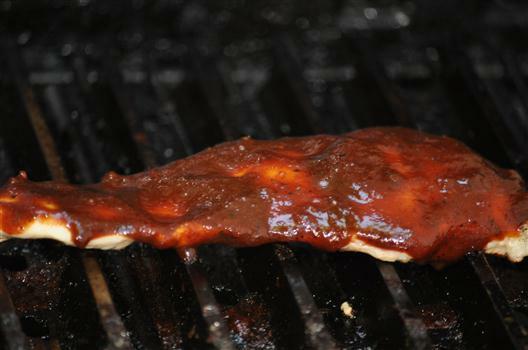 The sauce pours thick but not too chunky or gloppy. Farm2Market on left. Big Butz Original on the right. Two five star sauces in one tasting – I’m a lucky guy! The look and smell of this sauce excited me from the start. It’s a dark sauce (responsible ingredients: molasses, cocoa, and coffee!) and the taste is rich. 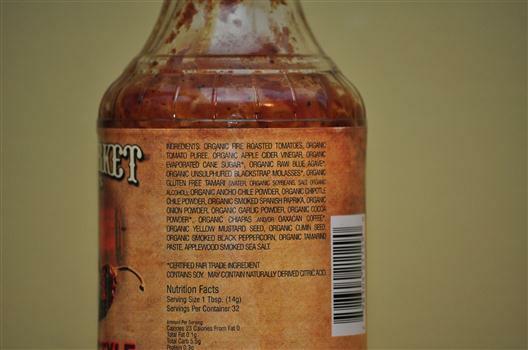 The sauce tastes hearty and complex due to use many fine ingredients including fire roasted tomatoes (recently I had been thinking I was surprised more companies didn’t experiment fire roasted tomatoes which always make for great salsas). And to top it off, I really like the name Farm2Market – the name is used sincerely and it represents something – an Organic, Vegan, and Fair Trade sauce with no HFCS. Even their website is hosted by Wind Power! This is winner, just prepare your mouth for something different. Please check out their site here and their Facebook page here. The Sonoran Desert is a North American desert which covers large parts of the Southwestern United States in Arizona and California as well as Northwest Mexico in Sonora and Baja California. It is one of the largest and hottest deserts in North America and the only place on earth home to the Saguaro Cactus. You will see people use the Saguaro to brand their products, like Old El Paso, but as Reverend Horton Heat will tell ya, “There Ain’t No Saguaro In Texas.” Now you know where Bugs Bunny wound up when he should have made that left in Albuquerque on the way to Pismo Beach…and yes, we do have roadrunners and coyotes, too. I would use this sauce on a lime and salt marinated whole chicken smoked with apple and hickory wood.